What’s hiding behind the scenes of your local high school’s theater department? It is just dusty set pieces, paint cans, and splintery old boards? Or is it something more mysterious? 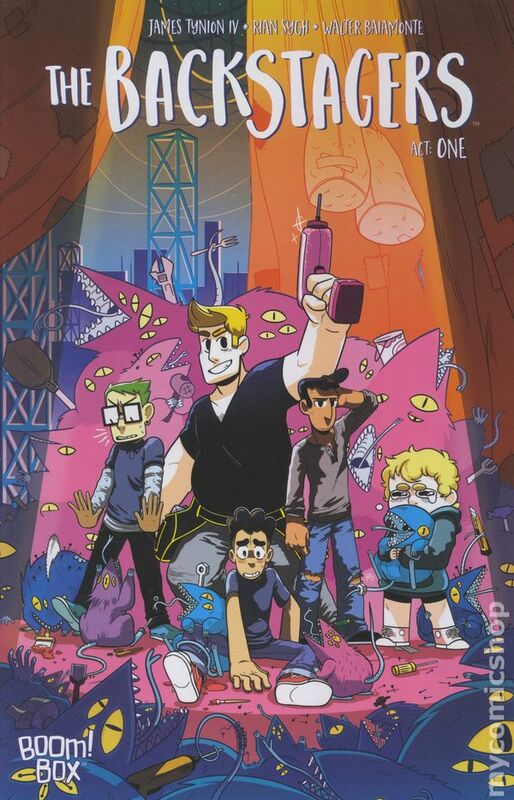 In James Tynion IV and Rian Sygh’s THE BACKSTAGERS #1-4, we follow Jory on his quest to join an extracurricular activity at his new school, both to make new friends and to placate his mom. Drama club’s a bust, but the flurry of activity and unbelievable weirdness Jory finds when he seeks out the stage crew tells him he’s found the right fit. There are monsters, mysteries, and most of all – new friends! If you love the way LUMBERJANES feels young, fun, and effortlessly queer, we think you’ll like THE BACKSTAGERS, too! Buy THE BACKSTAGERS on Comixology!